Use this calculator to compare monthly payments given the seven most poplular auto loan lengths. For simplicity sake this calculator presumes the same rate of interest for all loans, though longer duration loans typically have slightly higher interest rates for prime borrowers & longterm loans on used cars for subprime borrowers may have FAR higher rates. Enter the amount financed and the interest rate, then click the "Calculate Payments" button. Whether someone is looking for a new car to replace an existing vehicle or they're looking to add another vehicle for personal or family use, it’s important to find the right car. It’s also crucial for someone looking to finance an auto purchase that they find the right auto loan with the right terms to fit whatever budget they have for the purchase of their new vehicle. The first step that a car shopper should take is to determine how much he or she can afford. This can be done by considering the suggested price of the vehicle or by considering how large the budget is for monthly payments. This will be the launching pad for finding a particular vehicle that will suit a buyers driving needs as well as their budgetary constraints. 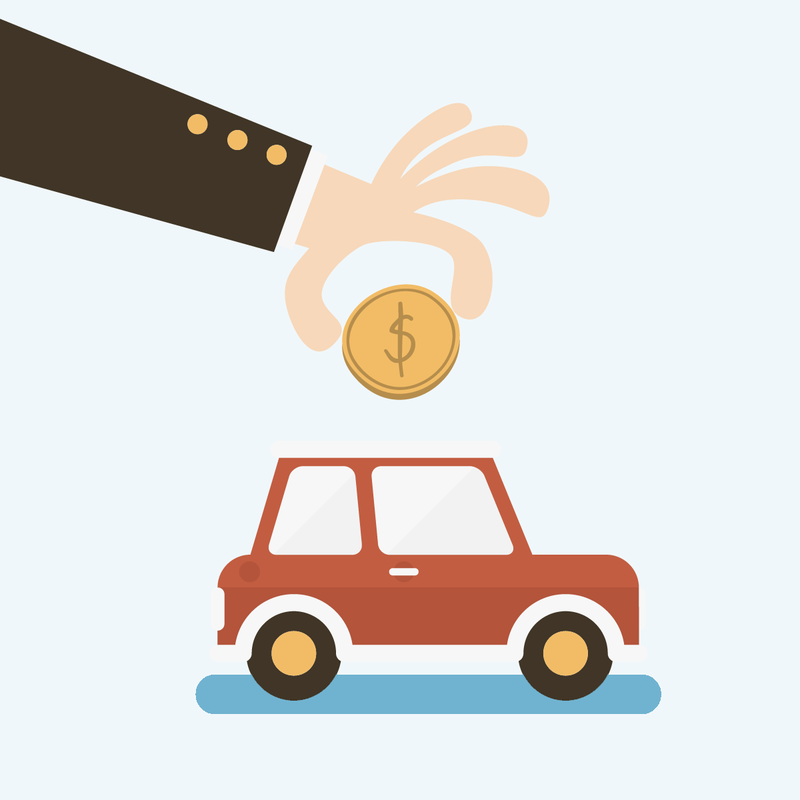 Make sure you can afford maintenance cost at the end of your auto loan. Americans are increasingly choosing to extend their automotive loans out to longer borrowing terms. One issue with this is many cars end up upside down durng the loan (where the borrower owes more than the car is valued at) because cars depreciate so quickly. Owing more than the car is worth will typically come with a higher rate of interest. Further, as a car ages the maintanence & repair costs rise rapidly. Taking out a 7-year loan on a 3-year old car will mean you are still making regular loan payments a decaded after the car was manufactured. At that point the car may need more than just oil changes & tires — with an expense like transmission or engine repairs costing more than the car is worth. Being upside down on a current loan will also make it much harder to get a fair price if you wish to trade in your car to get a new one. And unless your credit is good many lenders will not want to make another auto loan to you if you already have another outstanding car payment. Many owners stuck in a maintenance pit have to shift to leasing to get out of the downward financial spiral & money pit that is their regularly broken & unreliable car. Table presumes a 25% rate of depreciation in the first year & 15.6% rate of depreciation after first year of ownership. Various makes & models have different rates of depreciation. For the sake of simplicity, the above table also does not include sales tax or licensing fees. *** = presumes $99 per month for newly purchased cars & the car which was purchased 1 year in. For cars older than that a flat $200 per month for used cars. Maintenance costs vary widely. The maintenance costs - particularly on used cars - play a significant role in the overall cost of ownership. AAA stated the maintainance, repair & tire cost on new cars typically runs about $99 per month. On older cars it is not uncommon for this cost to double or even triple. The last 2 columns use a significantly higher interest rate than other loans to reflect a person with a fair to low credit score & a person with a history of bad credit. From the above table you can see in the rightmost column how a person with very bad credit - after interest - ultimately pays new car prices for used cars. Worse yet, they have a less reliable vehicle and they eat higher maintenance costs on top of it. People with very bad credit are typically best off buying the cheapest car possible which is still somewhat reliable & then only buying a more expensive car after their credit improves significantly. An extension of the affordability of the vehicle is going to be the interest rates that an auto loan will offer. Fortunately, buyers will have a great deal of flexibility in terms of the type of loans that are available. 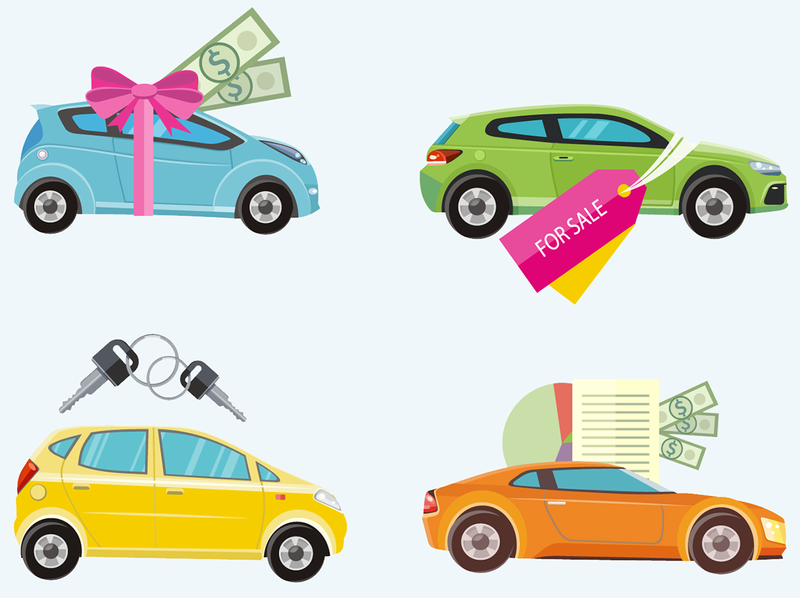 Even if a loan has a higher interest rate, as may be necessary for someone with less than perfect, buyers may find purchasing a vehicle is possible, even on a tight budget. It's best that a buyer have a great credit score in order to qualify for the most competitive interest rates on an auto loan. Unfortunately, few people have an unblemished credit report; however, buyers still may have the flexibility of choosing a longer term loan in order to offset the increased costs of a higher interest rate. It's also important to know how the interest will affect the real cost of the purchase. For example, if someone is looking at a car that cost $25,000 and they have $5,000 to put towards a down payment; the initial cost of the car is going to be $20,000. A 4 year loan at an 8 percent interest rate will make the payments $488.26 per month. The true cost of the car would be $23,436.41. This underscores the importance of knowing the interest rate and how this will affect the true price a buyer will pay for their vehicle. Buyers need to understand their finances in order to determine the amount of money that they can spend on a new or used vehicle. It also important that buyers understand their credit score. While buyers may be able to afford a certain amount of money, if a credit score doesn’t meet to certain standards, it may be difficult for a buyer to find a lender who will be willing to loan them the money needed to purchase a vehicle. When a buyer checks their credit score, they will be able to determine whether or not they have the potential of getting a competitive interest rate prior to requesting a loan. If their credit score is less than stellar, they may have to consider the possibility of either not purchasing the vehicle or opting for a loan that offer higher interest rates. Driver's can expect to drive a new vehicle for several years without fear of costly mechanical breakdowns or repair issues thanks to the quality of many new cars as well as the extra blanket of protection offered by most new car warranties. Outside of normal maintenance and the replacement of wear items such as brakes, tires, batteries and the like, buyers can expect several years of breakdown free operation. In the past, purchasing a used car was risky in terms of value for the money spent. A great deal has changed in the used car industry in recent years, which has given consumers an increased level of confidence in their used car purchases. Today, there are many used car dealers that offer quality vehicles, such as you would find with certified used vehicles at no hassle prices. In addition, many used car dealers offer existing warranties on their vehicles, as well as the option to purchase comprehensive extended warranties that can cover the vehicle for many miles after a manufacturer's warranty has expired. The moment a new vehicle is driven off of a car lot, the vehicle’s value is going to lower automatically. How much value the vehicle loses will depend upon the particular make and model of the vehicle. When a buyer purchases a car with an auto loan that has a higher interest rate for a longer period of time, such as a 72 or 84 month auto loan, it's probable that they will owe more on the vehicle than it is worth. If they want to sell the vehicle before the loan is up they may owe more on the vehicle than what they sell it for. You have to look at more than the monthly payment amount to understand what the car is really costing you. While longer loan terms are increasingly popular choice among Americans, they are often not a good decision unless you have enough cash set aside to pay off the car outright. If a driver is in an accident, they could end up owing more than what the insurance company is willing to pay on a totaled vehicle. While gap insurance is an option, it's not available in every state and it's not available for older vehicles. Buyers may want to consider how long they intend to keep their vehicle when determining how long of a loan to obtain. If the intention is to keep the vehicle for an extended period of time, a longer loan is a viable option. If, however, a buyer wants to have a new car ever couple of years, then choosing a shorter loan will make more sense. Perhaps one of the most popular options for acquiring a vehicle loan is going through a personal bank. This is perhaps the most convenient way of taking a lot of the hassle out of purchasing a car. Buyers can apply for a loan, get a certain amount and then simply search for a vehicle doesn't exceed the loan value. It’s important to remember, however, that most private banks will require a person to have exemplary credit in order to be approved for one of their auto loans. Credit Unions also offer very competitive interest rates to their members. These loans carry with them interest rates that are some of the lowest around. Buyers have to be a member of a credit union in order to get a loan through one. Membership, however, is very easy in most cases, often only costing around $5 - which is put into a checking or savings account -- to join. The one downside is that a great credit score is needed in order to qualify for a loan from one of these institutions. Whether it is a new car dealer or a no haggle used-car dealer, it's important to look for a loan through a dealer. Most reputable new and used car dealers have excellent relationships with various different lenders. What this means is they can shop a loan to many different lenders in order to find buyers the best deal. Even if a buyer's credit score is less than stellar, many dealers have lenders that will be able to facilitate an auto loan for the purchase of a new or used vehicle. A buy here pay here used car dealer is going to be one of the easiest places for people to get an auto loan. When someone has a credit score that is very low a buy here pay here may be the only option. While these places are extremely easy for people with poor credit to get, they are also notorious for providing loans with excessively high interest rates, sometimes at 30 to 35 percent interest, and they have very stringent rules about repaying the loan. Many of these cars are repeatedly seized multiple times per year. There are many different methods and considerations when it comes to getting the best auto loan. By taking some time in taking into account all considerations as well as investigating the best place for you to acquire an auto loan, buyers will be well on their way to owning a car that they can afford.